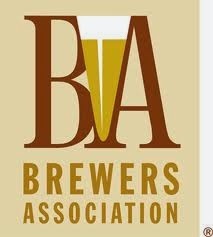 CBC Symposium Ales: The BA collaborated with the Oregon Brewers Guild on this year's commemorative beer. With Oregon home to so many craft breweries, the guild opted to brew six different commemorative beers representing the coast, central Oregon, the Willamette Valley, and Portland proper (with three from the latter). Each beer was a collaboration among breweries from the given area, while a variety of industry suppliers provided the ingredients and packaging.